I used the Monthly Spotlight stamp set, Sprinkled With Love, for the sentiment. 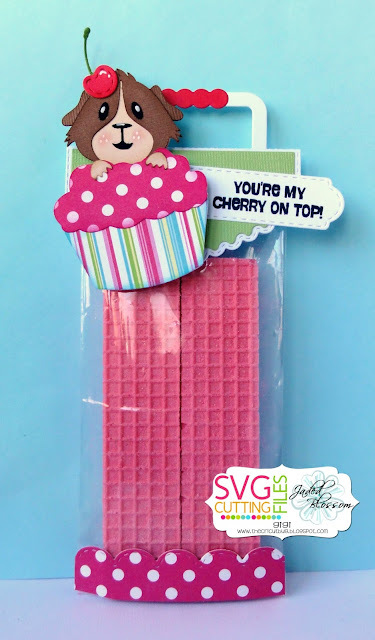 I started this project with the Dainty Topper Die and added it to a 3 X 10 Inch Clear Bag filled with Wafer Cookies. 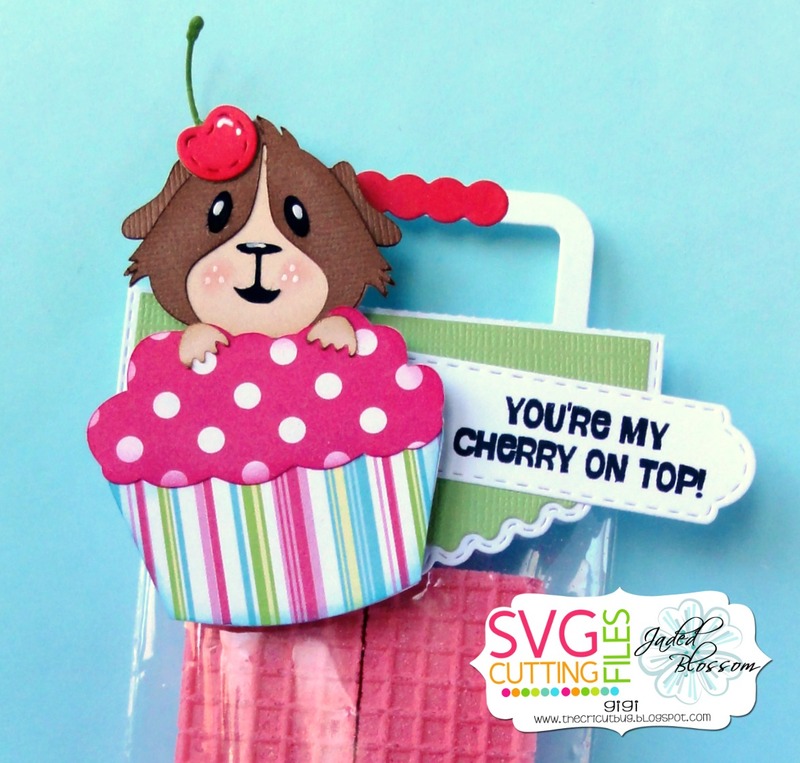 I cut the guinea pig image from the SVG Cutting Files Guinea Pig Cupcake file with my Cameo and pop dotted it to the topper. I added a cherry to his head cut with the Birthday Dies and the border on the bottom of the bag cut with the Border Dies. To finish, I stamped the sentiment from the Sprinkled With Love stamp set onto a tag cut with the Mini Tag Dies 2. Don't forget to get the Sprinkled With Love stamp set at a great price this month!